Grasslands are widely distributed throughout the world, maintained with no or low input of fertiliser without tillage, and are used for grazing and fodder harvesting. Arbuscular mycorrhizal (AM) fungi colonise the majority of grassland plant species with little evidence of host specificity. AM fungi play significant roles in nutrient cycling in grasslands. However, grasslands are diverse ecosystems so it is difficult to generalise the contribution of mycorrhizas to these plant communities. Nevertheless, plant diversity has been shown to have a positive relationship with AM fungal diversity and community structure. 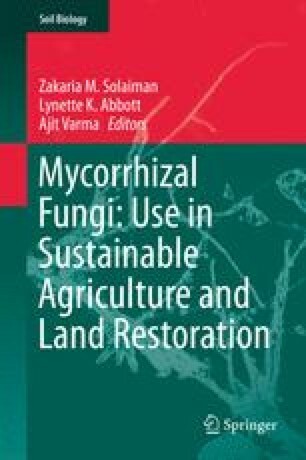 AM fungi have potential to contribute in a significant way to the maintenance and restoration of grasslands through their roles in influencing the plant community structure, nutrient cycling and soil structure. The structure and function of AM fungal communities in grasslands can be altered by management practices, such as grazing pressure, and this will influence their contribution to soil processes.